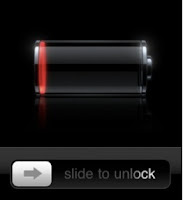 Apple launched iOS 5.0.1 claiming it would fix the battery problems lots of users have been reporting on the iPhone 4S. Unfortunately, that didn't seem to do the trick - just as I suspected it wouldn't. I'm sure there might be a few units out there that might actually be defective and have *real* battery problems; but for the most part, I say it is mostly a software isse. There was even a case where someone had the exact same setup with two different iPhone 4S - one with the battery problem; the other without - and when he wiped them and switched the "restore" files; the "battery problem" switched iPhones as well! Like I said before, this seems - to me - to be a clear indication that it is merely a calibration isse and that it can be easily fixed. How many of those people have actually measured how long their iPhone 4S lasts? Please ignore the low battery warning and keep using. If it is just the battery reading, you'll notice your iPhone will keep going and going... and going. As for the contacts bugs - showing a phone number instead of the name of the person on your contact list: that is really a very annoying bug; but it wasn't introduced in 5.0.1; I already had it with iOS 5, and the update to 5.0.1 didn't fix it. At least it seems to have made it more visible, and I now hope Apple will make a speedier fix.